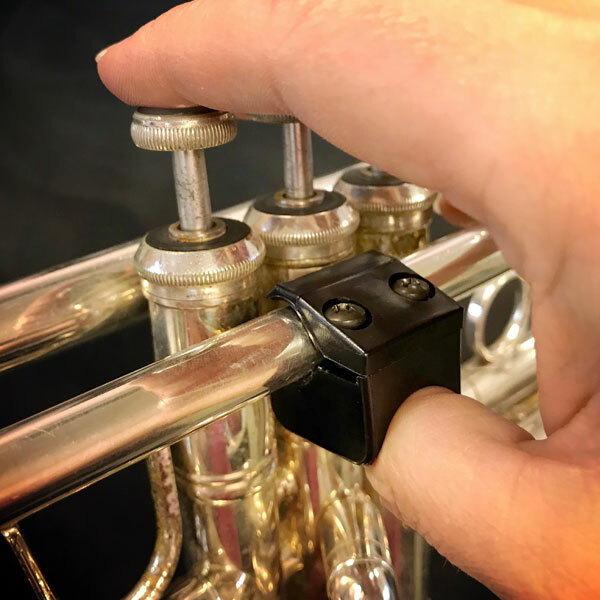 A comfortable rest for the right hand thumb, while playing trumpet, cornet, or mellophone! Proper thumb-position trainer for all students! 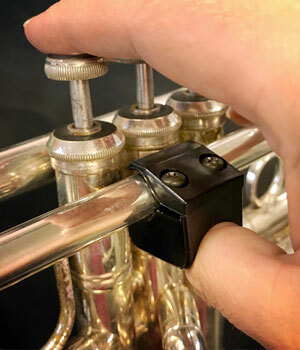 Simply attach to leadpipe between 1st & 2nd valves - then adjust for your personal comfort, position, and angle!